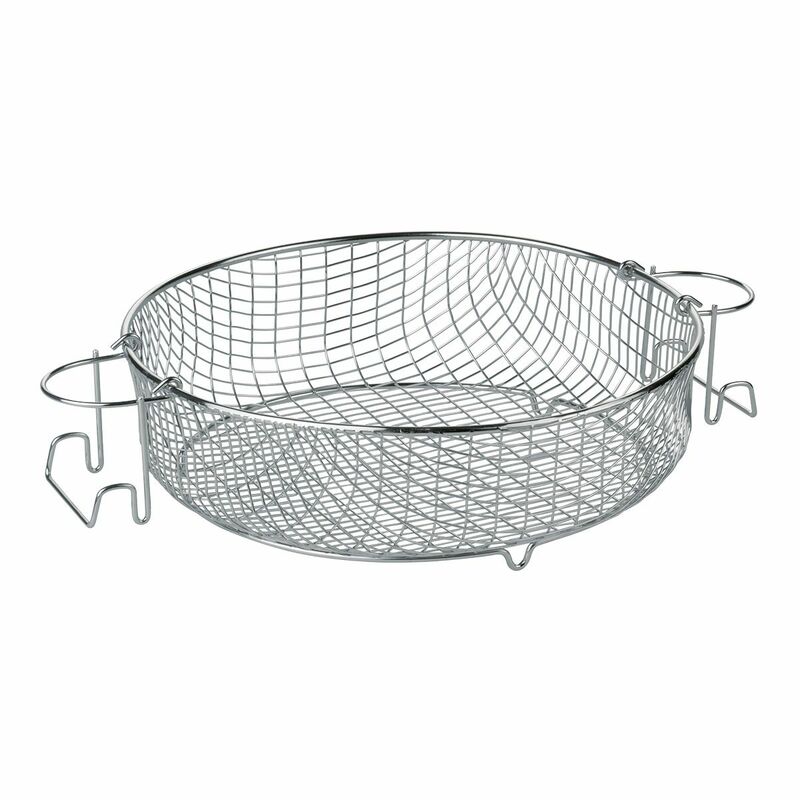 Pressure skillet deep frying basket - The ideal addition to your induction-compatible pressure skillet. A healthy diet doesn’t mean that you can’t have fish and chips if that’s what you’re craving. You can always supplement them with some vegetables steamed in the pressure cooker to get your nutrient balance right. The convenient stainless-steel basket turns your pressure skillet into a deep fryer. The fold-out handles make it easy to insert and remove the basket, which simply goes in the dishwasher after use.